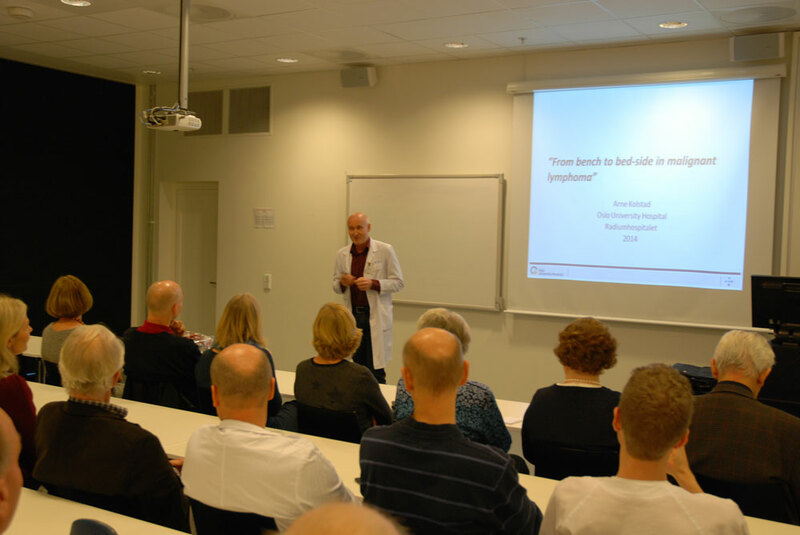 The 2014 "Dr. Ragnar Mørk's legacy prize" went to Arne Kolstad from the Department of Oncology for his excellent clinical research on lymphoma therapy. 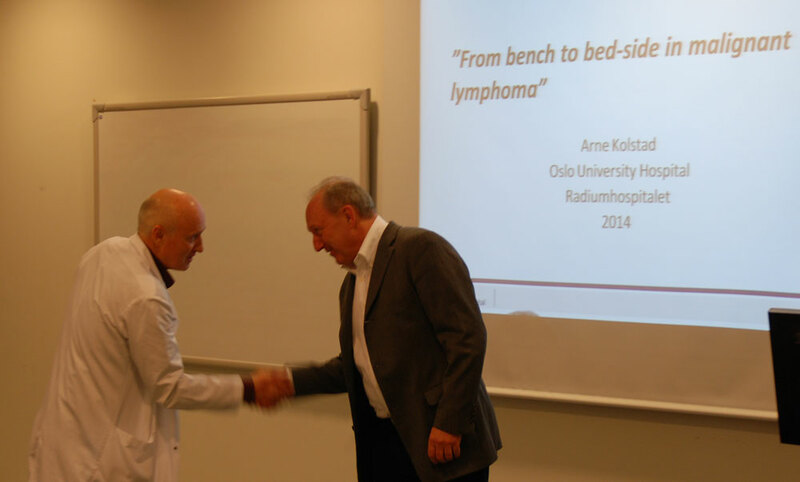 This annual award of NOK 200.000 is given to scientists affiliated to the Norwegian Radium Hospital who have obtained important results within the field of cancer research. 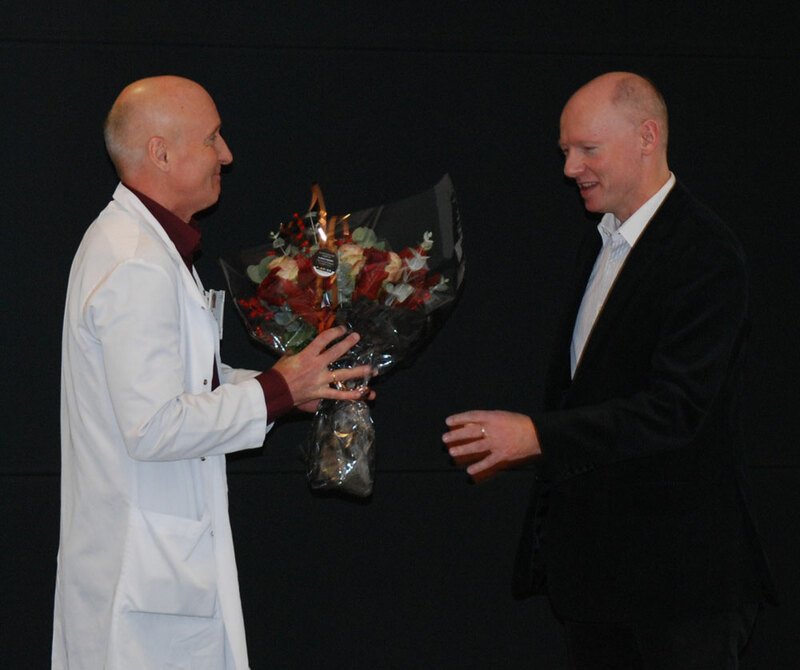 The ceremony took place Friday November 21st in the Research Building at Montebello. 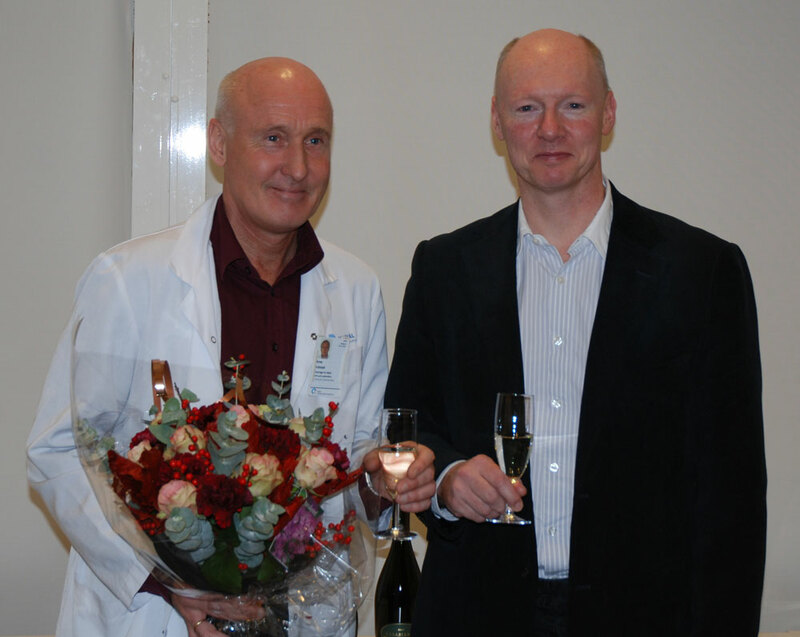 Kolstad gave an interesting lecture about the research activities that has earned him the award. Photos from the ceremony (click to enlarge images). Photographer: Chema Bassols. 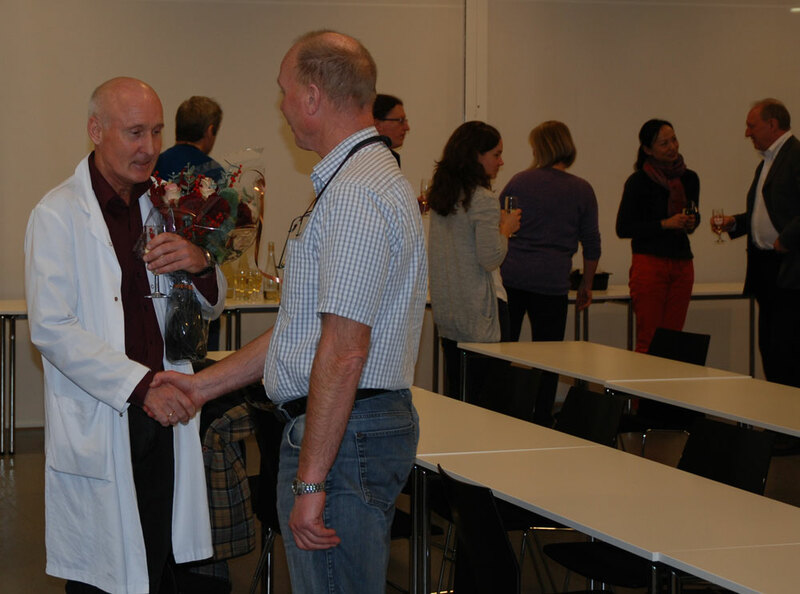 Arne Kolstad congratulated by Carl Rieber-Mohn, board leder of the Ragnar Mørk legacy. Arne Kolstad and Harald Stenmark, leader of the Ragnar Mørk legacy scientic committee.